Remote control helicopter terms and meaning to common words related to r/c helicopters. R/C Heli terminology. Terms and meaning to words related to r/c helicopters and heli's. A high speed climb followed by a 540 degree Pirouette as the heli stops climbing . These letters stand for aluminum, brass and chrome or a composite such as nickel. These engines have an aluminum piston and a chrome or composite coated brass cylinder sleeve which allows them to be more efficient for higher performance. They have no piston ring and rely on a very tight piston/cylinder fit to obtain a piston/cylinder seal. New ABC engines are normally hard to turn over by hand. Because of the tight fit, it is very important that the engine is broken in properly. This is really an airplane term, but is easier to say than "cyclic roll." Ailerons are what banks a plane left or right, but does not really exist on a helicopter. A form of "super glue" commonly used in model building, don't use it on foam. R/C helicopters use a clutch so that the engine can idle without the rotor blades spinning. Usually they use clutch shoes which when spinning spread out and rub against the clutch drum causing it to rotate and spin the gears. 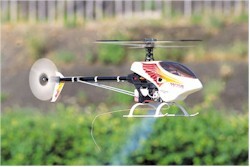 The slang term which describes a R/C heli that has a motor which runs on gasoline. The special kind of fuel R/C vehicles typically use. It contains a good portion of nitromethane and other chemicals. A device you connect to the glow plug on a engine which heats the coil element so that the fuel can ignite and the engine can start. A plug that looks like a small spark plug, but has a wire coil in it which stays hot enough once the engine is running to ignite the next combustion cycle, and keep the motor running. A small fuel tank connected between the main tank and the engine. It purpose is to capture air bubbles / foam that would otherwise be going into the carburetor. This extra fuel tank is mostly used by 3D fliers due to the nature of the ir flights. This small tank can also be used to see when you're about to run out of gas, if you can't see your main fuel tank while the canopy is on. The ability for the engine to start itself (without the glow-warmer) if you turn the start shaft after the engine has been running a while. This is because the engine is so hot the heater is not needed to cause ignition. This is also da ngerous because it can catch you off guard and send your blades into a frenzy. A condition where the cylinder has filled with fuel and can not complete a rotation. Forcing the cylinder to rotate if you try and start the engine can ruin the connecting rod. You remedy the situation by removing the glow plug and letting the fluid drain. This can be caused by over-filling your gas tank which 'spills' into the muffler, from where it has direct entrance into the cylinder. Internet Relay Chat, a real-time chat medium that has been part of the internet before the world wide web existed. Here you can talk to many people real-time in groups called "channels." Each channel has a specific topic you're supposed to ta lk about, but as you can imagine, the topic usually drifts. 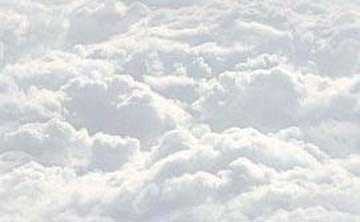 This means that fuel to air ratio is too low, and the engine will run hot. This can damage the engine rapidly, so it is recommended to start adjusting the engine on the rich side and work toward the lean end. Usually, turning a needle va lve clockwise makes the mixture more lean. A small dial near the carburetor of the engine that adjusts the mixture of fuel and air into the combustion chamber. Some carbs have two needle valves, one for high rpm and one for low. The low RPM also controls how smooth the transi tion is from low to high. . This means that the Fuel to Air ratio is too high, and the engine will garble. This does not damage the engine, but it does drastically reduce the power output. Usually, turning the needle valve screw counter-clockwise makes the carburet or run more rich. A device that the control arms spin around on so that the pitch of the blades is changed depending on their relative position to the helicopter. When in forward flight, the spinning rotor disc produces more lift than in a hover.